Dr. Onady is the newest member of The Surgery Group, joining in 2014. 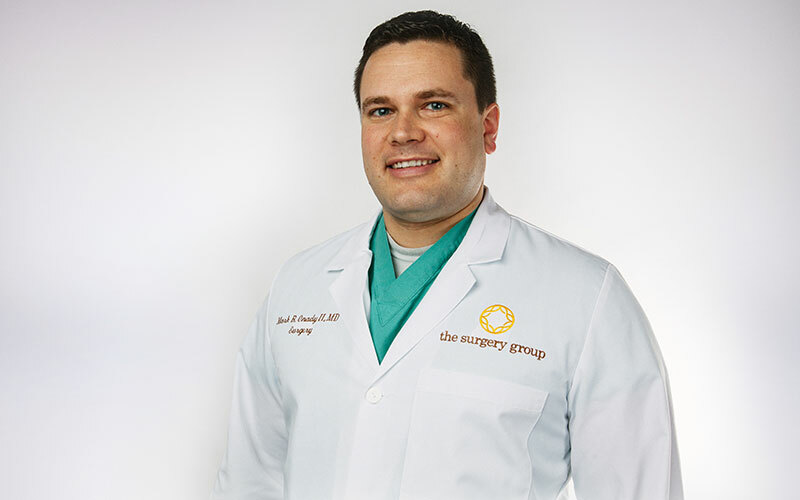 Originally from Cincinnati, Ohio, he began his practice here in Pensacola after completing his surgical residency training at the Medical University of South Carolina in Charleston. Dr. Onady is board-certified by the American Board of Surgery. He enjoys performing the full spectrum of general surgery including treatment of skin cancer, breast disease and breast cancer, thyroid and parathyroid disease, gallbladder disorders, intestinal and colorectal disorders including colorectal cancer, and all types of abdominal and inguinal hernias. Dr. Onady has special interest in minimally invasive and laparoscopic surgery with a focus on using these advanced techniques for hernia repair and abdominal wall reconstruction. He is committed to providing compassionate and quality surgical care that is personalized, and truly treats every patient as he would a member of his own family.